The Fortnite Season 8, Week 7 are now available. The Fortnite Season 8, Week 7 challenges have been unlocked and are available to complete. As usual, there are a total of 7 challenges, 4 of which are for Battle Pass owners. All of this weeks challenges are very straightfoward. TIP: Fastest way to visit three Pirate Camps in a single match. Upon completing four of seven challenges, players will be rewarded with 7,000 Season XP. 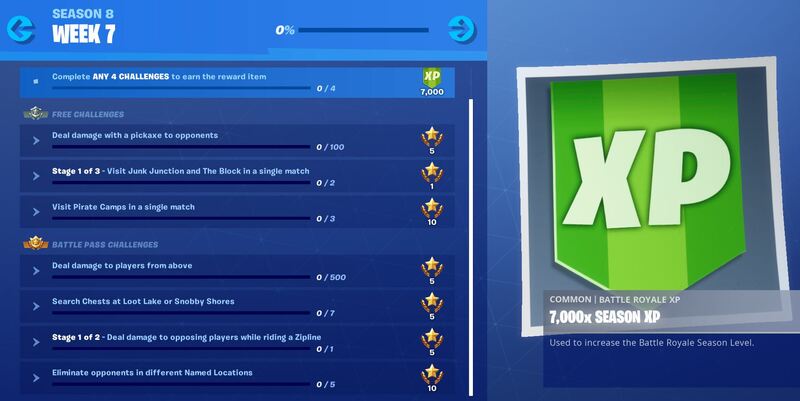 Complete all seven challenges and players will be rewarded with the Discovery Challenge Week 7 Loading Screen. 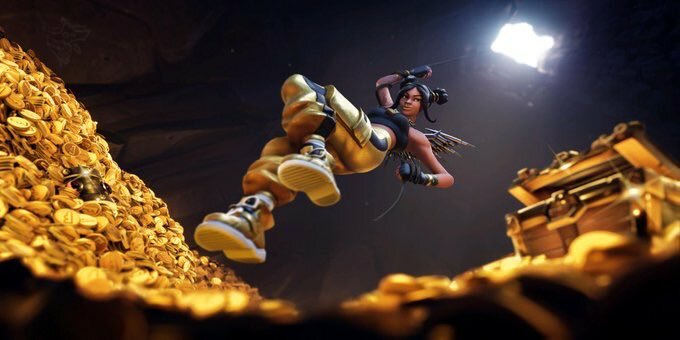 The Loading screen provides the location of the Week 7 Hidden Battle Star. You can check out our guide to finding the Battle Star here. Not hard at all, people often go on the ziplines in rumble do it there.